Puppy Vaccination Schedule .... Learn About This Important Topic For Your Puppy's Sake! Understanding the puppy vaccination schedule and the commonly recommended vaccines, is a topic worthy of a pet owner's serious attention before discussing the pros and cons with their vet. Whereas this is an important part of puppy health care, there are potential risks as well as benefits of vaccines. While some vaccines can help protect your puppy against serious diseases, others may have an adverse effect. With the help of a knowledgeable and trusted vet who stays up-to-date on the latest research, you should be able to get answers to all your questions or concerns about puppy shots. There are two designations/categories of vaccines that a vet may recommend as part of the puppy vaccination schedule. These two categories consist of core vaccines and non-core vaccines. The Core vaccines are the ones generally recommended by vets for all puppies and dogs. Rabies is the only vaccine in this group that is required by law. The non-core are case dependent to individual dogs and the likelihood of him/her being exposed to a particular disease. You can follow the link above to AAHA for their complete guidelines. A responsible vet will help you decide which shots are needed for your puppy based on your pet's lifestyle, environment, health status, and hereditary factors as well as your preferences once you've done your homework. So When Are Puppy Vaccinations Given? There is some debate among pet professionals about the timing of the puppy vaccination schedule as to when the puppy's shots should begin. While some vets suggest they be started at around nine weeks, many holistic vets will disagree saying that this is too early. Dr. Pitcairn, a well-respected veterinarian authority, advises not to vaccinate before puppies are sixteen weeks old because of the harm that can be done to the immune system. Whatever the case, one of the best ways to protect puppies from disease during the period before the puppy vaccination schedule is underway, is to keep them isolated from visitors, parks, and public places. This includes anywhere they may encounter other dogs or their feces, even the vet's office, until they are 22 weeks of age. This will provide more time for their immune system to strengthen. As to the form of vaccines given, holistic vets are more likely to be in favor of "killed" type vaccines instead of the modified live type, in the interest of greater safety. Many are also of the opinion that vaccines should be given one-at-a-time with a three week interval in between shots as opposed to the approach generally used by conventional vet practitioners of administering combined vaccines in one shot, often as many as five or six vaccines! This combo is considered too much of a challenge to the immune system to be given all at once. The vaccination decision is very important to a pet's future health, but it can be confusing. We believe that pet owners who become thoroughly informed will be in the best position to make wise choices about their puppy's vaccination schedule. The following timeline is from Dr. Pitcairn, and one which in light of the recent veterinary information, seems to be a logical consideration. Keep puppy isolated from potential sources of disease. While annual booster shots for adult dogs were the norm, many vets are now recommending a booster shot every three years for adult dogs. This is because of adverse health risks and because many vets hold the opinion that the immunity received from the the parvo and distemper vaccines lasts many years. You also have the option of requesting your vet to do a titer blood test to determine if your pet is still protected against a particular disease before deciding if you want to re-vaccinate. For for core vaccines (distemper, parvovirus and adenovirus-2) they suggest a schedule of one year after the initial puppy series of vaccines and then every three years after that. Like human babies, puppies are prone to infections and diseases unless they are given the necessary shots that keep them protected. In the initial days, again like human babies, colostrum (anti-body rich milk) from the mother provides the puppy with basic immunity. But this is only believed to last for 16-20 weeks. After this, your puppy can become prone to some dangerous diseases that can sometimes be fatal or even very harmful - as in the case of rabies. And here's where the puppy vaccination schedule comes into play. All puppies, irrespective of geographical location are to receive immunization against core diseases that are widespread. So, if there's a particular disease doing the rounds in your country or city, vets might add it to the core vaccines recommended list and give your puppy an extra shot. Will There Be Any Reactions To The shots? Not usually. 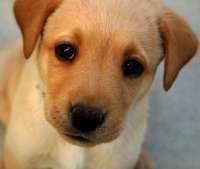 The vaccinations are generally painless and most puppies don't feel a thing, though some may feel a mild sting or pinch. However, puppies should not be given vaccinations when they are sick. If your puppy is showing signs of being unwell, the vaccination might end up making him feel a whole lot worse. To rule out any health issues, your vet will usually perform a general examination before administering vaccinations. Why Does The Puppy Needs Boosters? It takes about five to ten days before your puppy gains immunity from the vaccinations. Also, if the maternal antibodies are still in your puppy, the vaccinations won't have any effect and may cancel each other out. Which is another reason for not giving the vaccines too early. But, since there is no way to be sure that a vaccination has taken effect, it is generally recommended that your puppy gets boosters. And even when these are completed, it is still a good idea not to expose your puppy to other dogs or even walk him to public places until around 22 weeks as suggested earlier. What Are the Risks Or Side Effects Associated With Puppy Vaccinations? Okay, there are side-effects and then there are serious side-effects. While most puppies do not have any reaction at all to puppy vaccinations, some may have a few mild side-effects that usually disappear in a couple of days. This may include mild soreness at the site of the injection, mild fever and reduced activity. In any case, this should only last a couple of days. There are also moderately serious side-effects such as mild swelling of the face and hives. This is an allergic reaction that usually happens within a few hours of the injection being administered. If this is the case with your puppy, don't panic. Just take him back to the vet's office. Your vet is most likely to prescribe some Benadryl or an equivalent for the swelling to come down, although in case of very small dogs it may vary. Probably the most serious side-effect to puppy vaccination is anaphylaxis. It begins with vomiting and diarrhea and progresses to loss of balance, difficulties in breathing, swelling, drop in blood pressure, seizures and even death. This usually strikes immediately after the vaccination has been given and can be fatal when it does occur. However, vets still recommend puppy vaccinations because this kind of reaction occurs in about 1 in 15,000 puppies. So, with that said, while puppy vaccinations have an element of risk, well-informed owners and their trusted vet have to make the best choices with the information available. Vaccinating against the core diseases is considered the basic necessity. The other diseases that are common to your area are the optional considerations. Good luck with your puppy and remember, his health is in your hands!